Buy 1 for $17.09Buy 2 / Save $0.91!Buy 3 / Save $3.42! Fresh lemon character that cleanses the palate the way only a lemon can. Try it with a dash of sugar for a summertime snack. Other Names: Citron (French); Zitrone, Limone (German); limone (Italian); limón (Spanish). Description: Lemon is a small, evergreen tree (up to 6 m), easily recognised by the scarcely winged leaf stalks and the flowers, which are not pure white but tinged purple. Origin: Southern and southeastern Asia; cultivated in warm climates (notably southern Europe, southern USA, India and China). Parts Used: Dried peels of unripe but fully mature fruits (Citri pen carpium) ; also fresh juice and oil pressed from the outer layer of the fruit wall (lemon oil). Therapeutic Category: Aromatic, stomachic, against scurvy. Uses and Properties: Lemon juice (sometimes loosely referred to as "limejuice") was once an important supportive for scurvy (long before vitamin C was discovered), hence the name "limer" or "limey" given to British seamen. Nowadays, the peel and oil can be used to improve digestion and circulation. Active Ingredients: Essential oil contains monoterpenoids of which limonene (up to 75%), alpha-pinene and beta-pinene are the main compounds. Small amounts of citral (a mixture of geranial and neral) give the characteristic lemon smell. Numerous bitter flavonoids are present, mainly naringenin and hesperidin, and citric acid. Health Effects: The oil is aromatic and is thought to have antiseptic, diuretic, anti-inflammatory and decongestant properties. Bioflavonoids are considered to be antioxidants and to help support the permeability of blood vessels and capillaries. Notes: Oil pressed from the fresh pericarp is called lemon oil. Bergamot oil (the flavour in Earl Grey tea) is similarly cold-pressed from C. aurantium subsp. bergamia, bitter orange oil from subsp. aurantium, sweet orange oil from C. sinensis, grapefruit oil from C. x paradisi, mandarin orange oil from the tangerine (C. reticulata), lime oil from C. aurantiifolia and citron oil from C. medica. Dried or candied peels are produced, especially from citron. Oil distilled from the stems and leaves of various Citrus species, often used in aromatherapy, is known as petitgrain oils (bergamot petitgrain, lemon petitgrain, etc.). Preparation and Dosage: Lemon peel is sometimes included in stomachic medicines or in fruit tea mixtures. Fresh juice may be gargled for sore throat, or applied to the skin to help support acne, sunburn or fungal infections. Hot tea brewing method: Bring freshly drawn cold water to a rolling boil. Place 1 tea bag for each cup into the teapot. Pour the boiling water into the teapot. Cover and let steep for 3-7 minutes according to taste (the longer the steeping time the stronger the tea). Even though milk and a dash of sugar help enhance the flavor character on this tea, it is perfectly acceptable to consume this tea "straight-up." Iced tea brewing method (to make 1 liter/quart): Place 6 tea bags into a teapot or heat resistant pitcher. Pour 1 1/4 cups of freshly boiled water over the tea. Steep for 5 minutes. Quarter fill a serving pitcher with cold water. Pour the tea into your serving pitcher straining the bags. Add ice and top-up the pitcher with cold water. Garnish and sweeten to taste. [A rule of thumb when preparing fresh brewed iced tea is to double the strength of hot tea since it will be poured over ice and diluted with cold water]. Please note that this tea may tend to go cloudy or "milky" when poured over ice; a perfectly normal characteristic of some high quality black teas and nothing to worry about! Firstly...we only use high grown teas from the top 3 tea growing regions of Sri Lanka - Nuwara Eliya, Dimbula and Uva. These three high-grown districts produce flavorful teas that have classic "Ceylon" tea character which is noted by floral bouquet and flavor notes, touches of mild astringency, bright coppery color and, most importantly - perfect for use as the base tea of our flavored teas. (We have tested teas from various other origins around the world as base stock for our flavored teas, but none of these teas made the grade. We may pay more for high grown Ceylons, but the taste is worth it). Dimbula and the western estates of Nuwara Eliya have a major quality peak during Jan/Feb, whereas Uva and the eastern estates of Nuwara Eliya have their peak in July/Aug. This "dual peak period" allows us to buy the best for our flavored tea blends several times during the year, ensuring top quality and freshness. Secondly...we use flavoring oils not crystals to give the tea drinker an olfactory holiday before indulging in the liquid tea delicacy. Thirdly...we specify natural flavors. 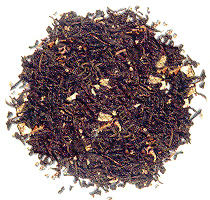 High quality tea tastes good and natural flavors do not mask the natural taste of the high grown Ceylon tea. (The norm for many making flavored tea is to use overpowering artificial flavors which can be used to hide lower quality tea). 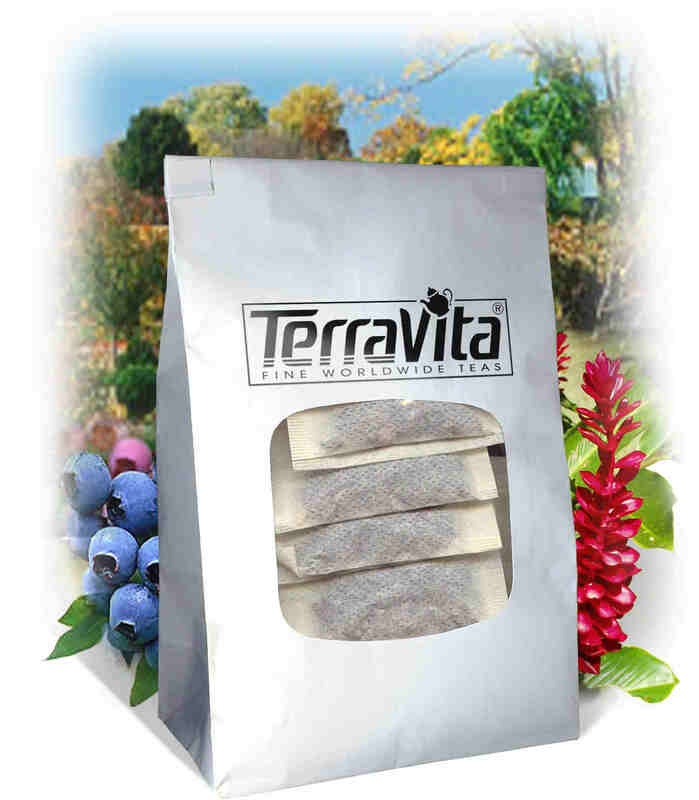 Natural flavors do not leave an aftertaste giving the tea a clean and true character. It should be noted that natural flavors tend to be somewhat "soft" and the flavors slightly muted, but for many this is a refreshing change and one of the desired attributes of our naturally flavored teas. Now you can sit back and enjoy the fruits of our labor (or should we say flavor) knowing that we have formulated the best flavored teas that are available.